Since appearing on Real Housewives of NYC my love for Pinot Grigio has been broadcasted for the world to see. Each week over the past three years I have received thousands of email from fans specifically asking about what my favorite Pinot Grigio is, where I buy my wine and of course how I developed a love for Pinot Grigio. The truth is after all my years of drinking Pinot I have yet to find the perfect bottle! Being a business woman and entrepreneur I decided why not create my very own Pinot Grigio. I knew once I decided to do this I had to be involved in every step of the process as this product will truly reflect my personal tastes. Now that the Pinot has been created I could not be happier as every tireless minute and hour was worth the final product. I partnered with Opici Wines to create the best version of the Pinot possible as they have hundreds of wines in their portfolio and are the best at what they do. I was very specific when I was first creating the taste, I wanted something great, true to the Pinot Grigio flavor without a bite at the end. The notes needed to be fresh, fruity and crisp. It took weeks to finalize based upon on all the sample tastings until we got it right. Before beginning the process of mass production of the product I did blind taste tests with my girlfriends. Hands down Ramona Singer Pinot Grigio was preferred each and every time. My Pinot Grigio was produced from grapes grown in the Veneto area of Northern Italy. The vines ranged in age from 15-20 years old in soil of calcareous origin that is rich in limestone. The grapes were hand-picked and immediately crushed upon reception at the cellar. The next process is the fermentation of the wine in stainless steel tanks which took 15 days. The wine was then filtered and fined before resting in a temperature controlled tank for 2-3 months. Once we had the perfect Pinot I worked on packaging. It had to be elegant, regal and classic. I knew I wanted gold foil packaging to compliment the color of the Pinot Grigio and the rest really fell into place. I had dozens of bottles mocked up with different versions of the label and choosing one was simply based on what I thought truly embodied the taste of my Pinot. Not only was the front label important, the back label and top cover all were hand selected and designed per the vision I was going for. In addition to the bottle labels I worked on the case design for retailers, promotion pieces and case cards. Every piece tied to the launch of my Pinot Grigio had to look cohesive and really reflect this new business I was building under the Ramona Singer umbrella. Almost as important of the taste of the wine itself was the price point of the bottle. I wanted everyone to be able to sit back, relax and enjoy the best Pinot Grigio on the market today. Retailing around $13.99, the Pinot Grigio can be bought and enjoyed by anyone. Perhaps some people will drink it because they love Pinot Grigio like me or some to see what I have been raving about, either way ENJOY! There were many people involved in the process from start to finish and I could not be happier or more thankful for their time and help. This is a wine that can be enjoyed anytime, anywhere and with anything! 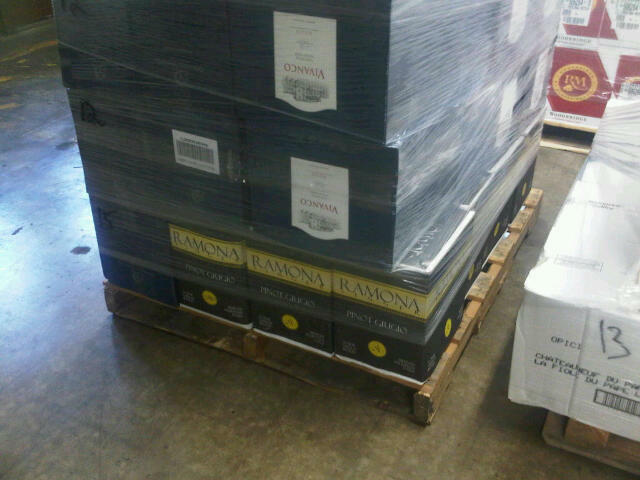 Ask your local wine and spirits store to purchase your own bottle of my Pinot Grigio or visitwww.OpiciWines.com/Ramona to find your nearest retailer or to order online today. For details on appearances, tastings, news and to send in your personal photos of yourself and friends having “Turtle Time”, please visit the Ramona Pinot Grigio Facebook fanpage. Hello again! Whew! 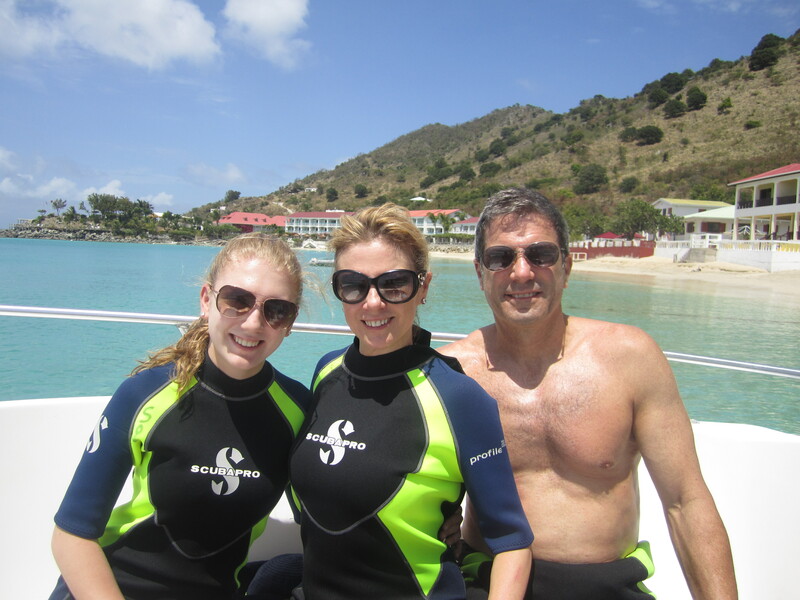 It has been such a whirlwind of craziness lately that I started to sit back and dream of my vacation in St. Maarten that I took with Avery and Mario in March. As a little escape from my busy schedule, I wanted to share some photos with you! The trip was amazing! Our vacations often have us meeting up with other families but, for once, we made it just the three of us. I loved it. Every day Mario, Avery and I did something together and I have to tell you I did a lot of things I have never done before! 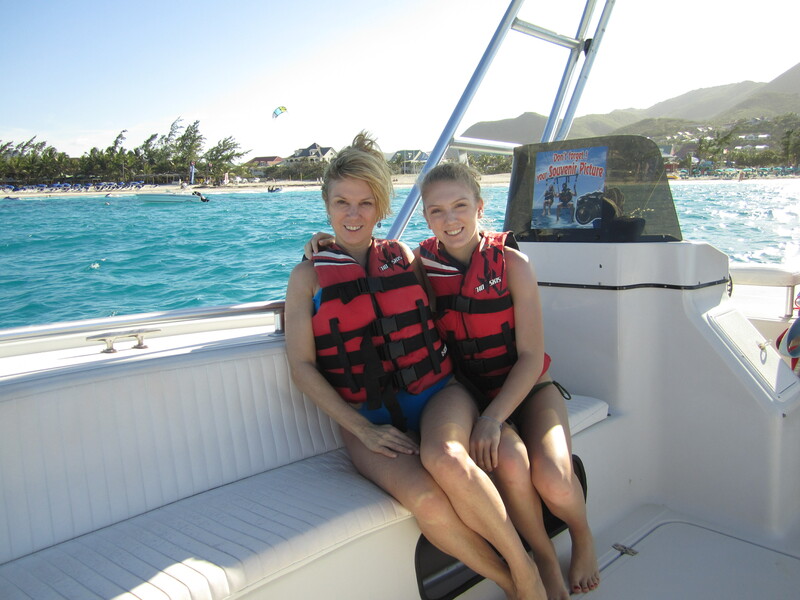 We went zip lining and parasailing! It was so much fun and I was thrilled to share those experiences with Avery. Mario and I also took Avery scuba diving and it was her first time! The hotel we stayed at, Hotel L’Esplanade, was absolutely stunning! It was also very convenient! We were close to all of the fabulous restaurants, shops and beaches. It was truly a memorable vacation. I hope you enjoy the photos below!